Do you intend to train your people online, on technical aspects? Are you looking for ways to deliver good training on complex equipment and/or software, through e-learning? Well, you need to overcome two common challenges. Let us see what they are and how they can be resolved. Most online technical training programs require higher levels of interaction with SMEs, compared to non-technical training programs. E-learning designers, who create these programs, often find this hard. Many SMEs are hard pressed for time, and this leads to problems in obtaining necessary inputs needed for the development of the course on a regular basis. Solution: As with any other e-learning course, you would do well to tell the SME up front he needs to play a key role in the development of the e-learning course. Most SMEs, who understand their contribution is vital, will be willing to take an active part in the development of the online course. The key to overcoming this challenge also lies in asking your SMEs the right questions. You need to remember SMEs are experts in their field and sometimes, they tend to get into a deeper explanation of the technical training content, which is not needed for your online course. So, it’s better you do thorough homework and come up with a list of questions to be asked, before meeting the SME. Many a time, e-learning designers need to present the technical training content to “non-technical” learners. The content needs to be presented in such a way that these learners are able to use it effectively in their work. Solution: Explain the applications of the technology, rather than the technology itself. Most “non-technical” learners such as salespeople need to know how the technology is useful, and seldom require an in-depth understanding of the technology. For example, one of our clients in the battery manufacturing industry explains to its sales reps how a technology that uses Graphene (a form of carbon) helps increase the life of its products, instead of delving deep into the technology itself. This, in turn, enables sales reps explain to customers why their batteries have a longer lifespan compared to those of competitors, in a convincing manner. 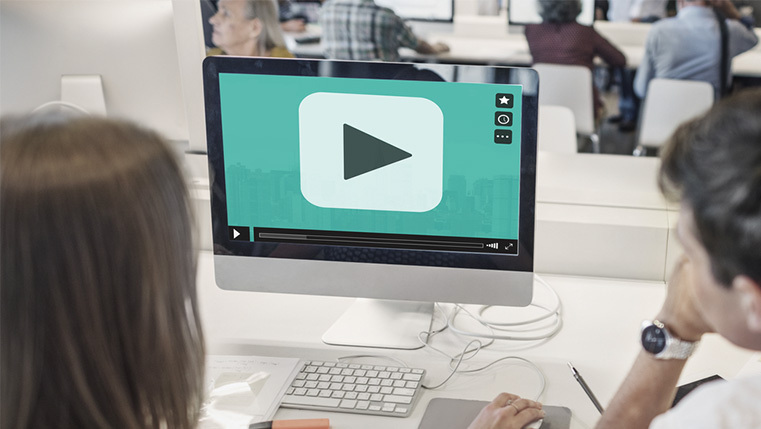 Videos are another great way of imparting technical training to lay learners. Animated videos can be used to explain how to handle complex equipment. For instance, one of our clients in the petroleum space uses videos to train its workforce on complex machinery used in oil rigs. Staff members watch the steps to operate the equipment, and then, practice the same in a simulator. Getting the SMEs to play an active role in the development of the online technical training program can be challenging. To overcome this problem, you need to explain that their contribution is vital to the successful development of the program. Also, you need to ask the right questions to “extract” relevant content from them. Another major challenge in delivering technical training is presenting the content to lay audiences. You can tide over this challenge by explaining how the technology can be used, rather than explaining the technology itself. You can also use animated videos to explain the working of complex products.Hope you liked this post. Here is a good blog that helps you use the e-learning format to train your service staff on complex products effectively.